The 800 Series Call System is ideal for use in all types of private, commercial, residential and public sector building. 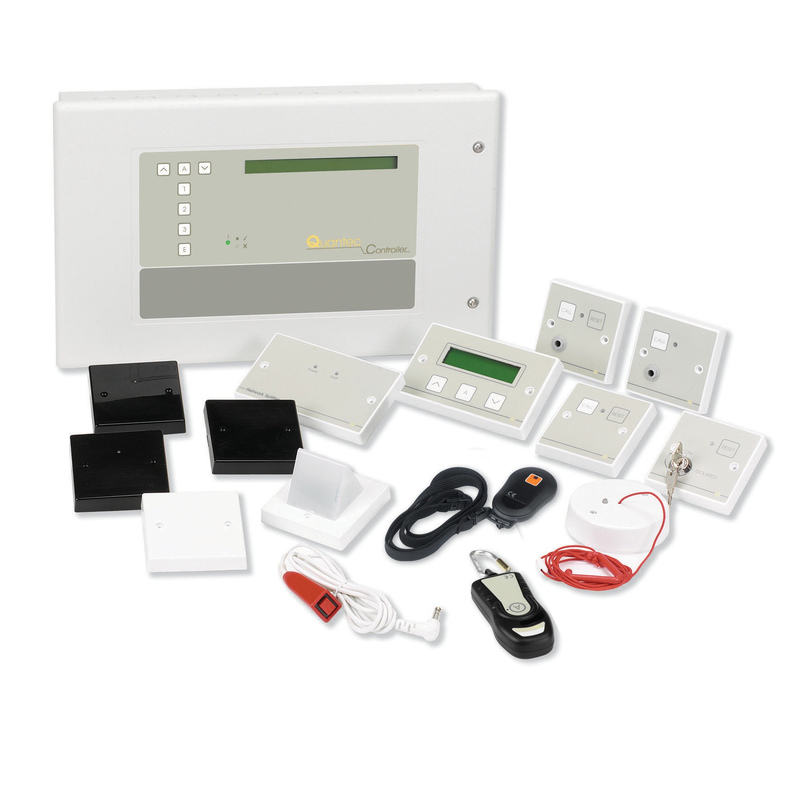 Incorporating a wide range of indicator panels and system components (including ceiling pulls, wall-mounting call points, monitoring points, water resistant alert points, stainless steel call points, overdoor lights, remote sounders, relays and call latch modules), it is without doubt one of the most versatile and reliable conventional call systems on the market. • Allows extra or more urgent assistance to be summoned using an optional ‘emergency’ call facility. • Inform staff that someone is being attacked via an optional infrared ‘staff attack’ facility. • Monitor storage cupboards, cash offices and stock rooms for unauthorised access. • Monitor doorbells, telephones and machinery for activation or failure. • Send notification of calls to hand-held paging equipment. Hundreds of applications – suitable for use in hotels, leisure centres, nursing homes, shops, offices, etc. Hard wired for total reliability – 4 to 6 core security cable is ideal for most installations. Wide range of indicator panels covering 1 to 90 zones. 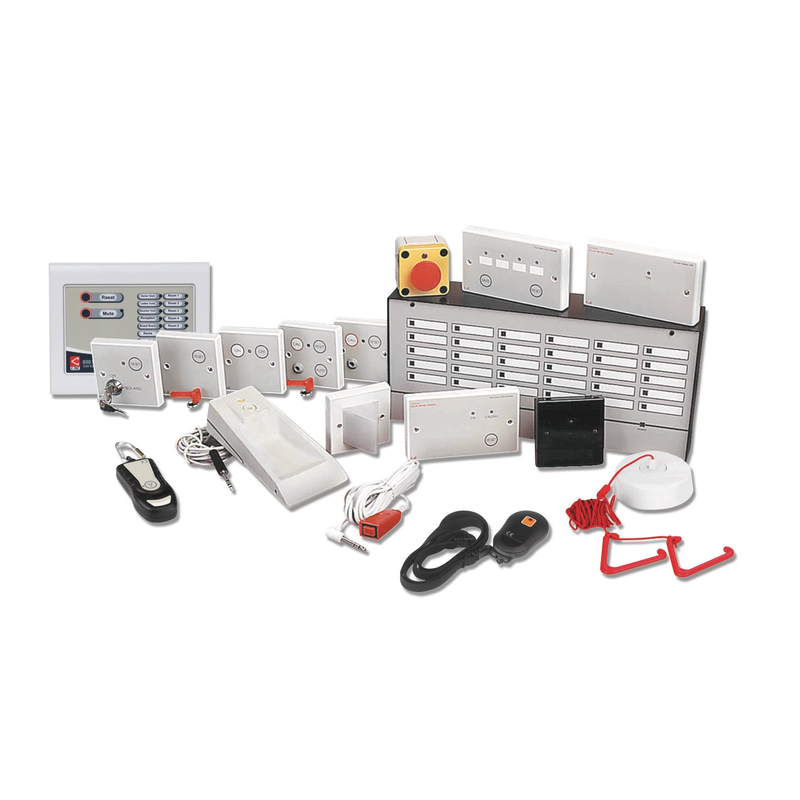 Extensive range of ancillaries including ceiling pulls, wall-mounting call points, monitoring points, water resistant alert points, stainless steel call points, overdoor lights, remote sounders, relays and call latch modules. 12Vd.c. system – simple to install, easy to operate and highly reliable. Most wall-mounting plastic components fit standard 25mm single or double gang back boxes. Ceiling pulls and water resistant alert points are surface mountable. Attractive compact design blends perfectly into any sort of decor. All power supplies capable of 12V sealed lead acid battery charging. Two levels of call – standard (constant tone) and emergency (intermittent tone). Optional button or magnetic key reset facilities (dependent on items purchased). No limit to system size – components can be mixed and matched to meet the layout and call communication requirements of virtually any building – see our typical applications diagram for details. Optional tone-only paging and infrared staff attack facilities. Extremely cost-effective – all components normally available ex-stock. 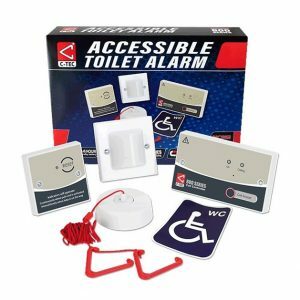 Can be used to help building managers and service providers comply with BS8300, the Disability Discrimination / Equality Act and the Care Standards Act. Please visit the ‘downloads‘ section for sales literature & instruction downloads.